Hold them by the tail! 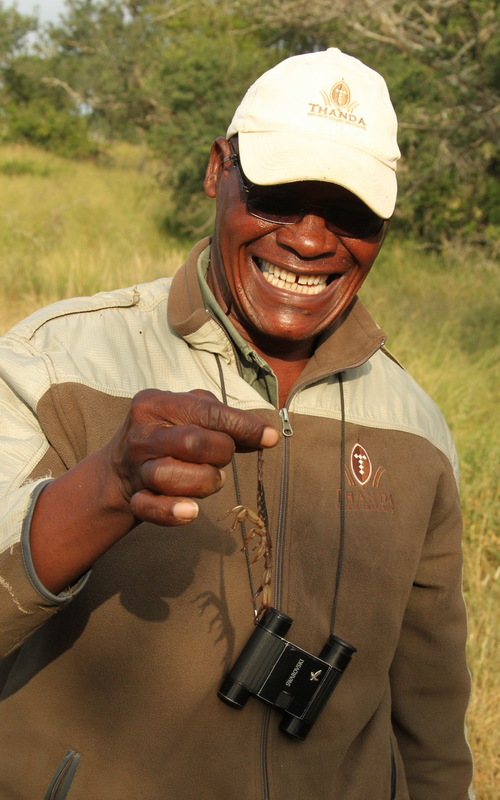 Bheki Ngubane, one of Thanda Safari’s experienced trackers, often shows our guests a scorpion during the morning drink stop. As everyone enjoy their coffee, tea or hot chocolate Bheki has a look around the area for a scorpion resting under a stone. 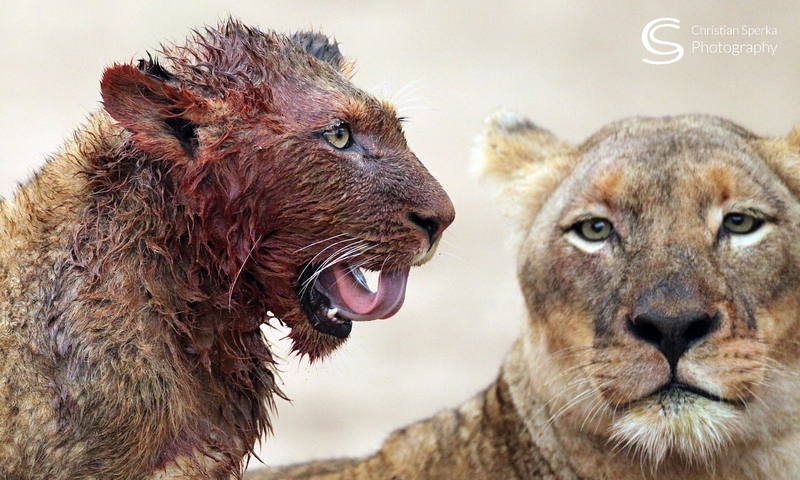 He will pick it up – carefully – by the tail and bring it over for everyone to have look. 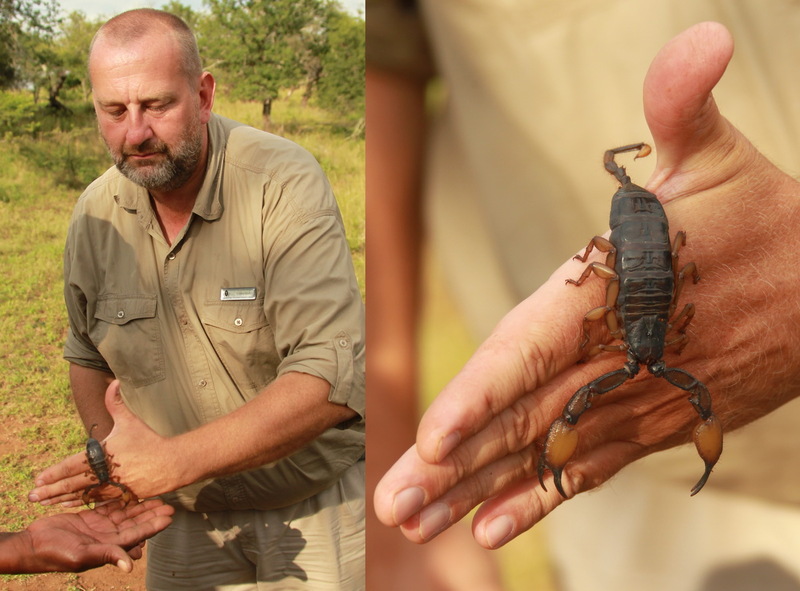 Bheki and I often let these small predators sit and walk on our hands. When the ‘show and tell’ is finished Bheki replaces the eight-legged creature back in its home, under the stone! 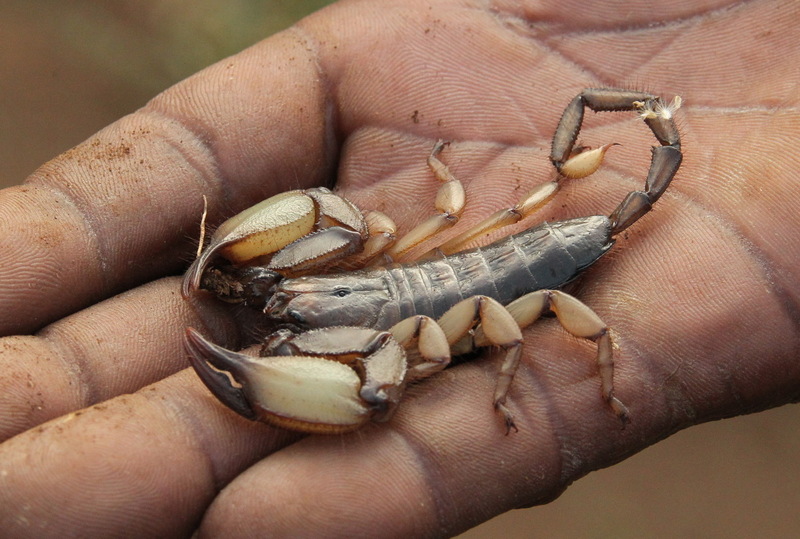 Oh my goodness, I have horror of scorpions. Remind me not to go on a tour with Bheki!